If there’s a general consensus on the Destiny 2 beta, it’s this: Player vs. Player (PvP) makes you feel great; Player vs. Environment (PvE) makes you feel underpowered. Bungie is hearing all of those complaints. The studio says to expect changes when the game launches for real in September. 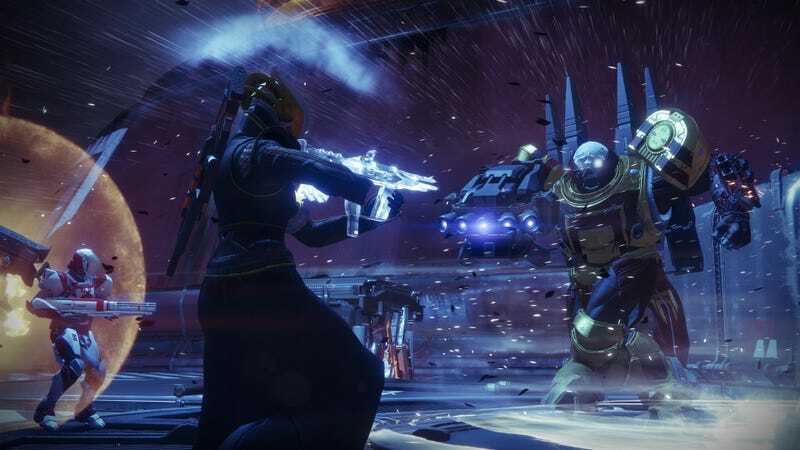 Over the past three years, one of the core tenets of Destiny has been that weapons and gear have the same functions no matter where you play. Whether you’re in the competitive Crucible or blasting aliens in story missions, your pulse rifles and shotguns will have the same damage, perks, and rates of fire. This has led to all sorts of gripes throughout the years, as whenever Bungie tweaks Destiny’s weapon balance for PvP, it can have a negative impact on PvE and vice versa. The issue is again rearing its head with Destiny 2, which overhauls the traditional “primary/secondary/heavy” weapon loadout in favor of a setup that limits you to one “power” weapon—a shotgun, a sniper rifle, a rocket launcher, etc.—and gives you two slots for primary weapons like auto-rifles and handcannons. This makes PvP feel more fair and pleasant to play, but it’s led to a whole lot of concern about PvE, especially after the beta. How will it feel to have to pick a sniper rifle or a rocket launcher rather than being able to equip both at once? Will bosses be even worse bullet sponges when we’re mostly stuck with primaries? And why do all of the ability charge rates feel so slow?